Well folks, today I am out of the country enjoying vacation. I was lucky enough to have Nate Vickery contact me about a guest post and the timing couldn’t be better. Please check out the awesome post and comment below. Borrowing money means that our income doesn’t meet our needs, so we take money from different loaners to make the ends meet. Sometimes taking a loan is acceptable, like when you have to undergo a serious medical treatment. However, throwing yourself into the jaws of debt to buy a large TV- is simply childish. But if you are already there, sitting in the bowel in your debt, waiting for it to get sorted out all by itself, you have to take some practical steps as soon as possible. Interest rates on credit card loans are sky-high, so they might be the most urgent ones to deal with. Mortgages, on the other hand, enable many people to buy a place of their own and there are many negotiable conditions under which you can take a mortgage. But credit cards lure you into an unstoppable downhill spiral, so paying off those debts and killing the credit cards is a must to become a debt-free person. If you notice that you have been paying your debt chunks regularly and the overall sum you have paid is not worth mentioning, change the rhythm. The expensive debts, like the ones you get via your personal bank account or the already mentioned credit cards, can be handled in a faster way. You should try to pay more than required. That way you will speed up the debt-eliminating process. 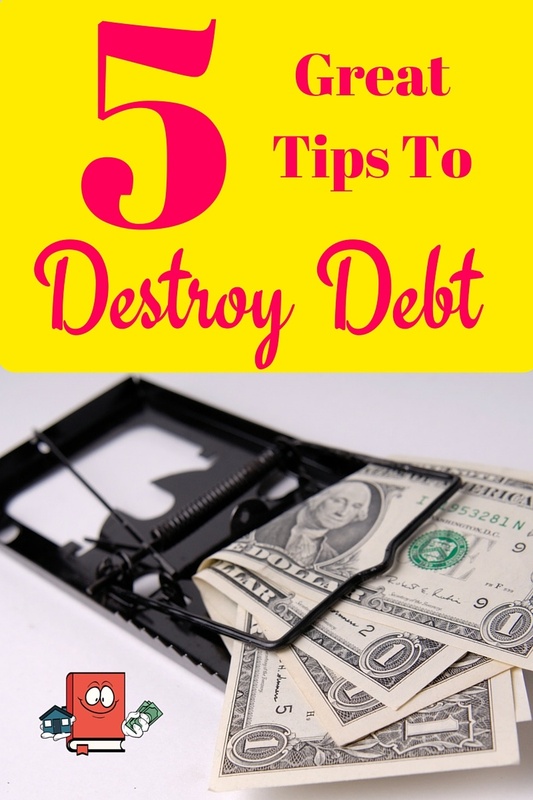 It will require breaking bad financial habits, but it will also get you out of that debt bowel more quickly. Having a family definitely changes our picture of the world. We all want best for our closest ones and we might get a bit irrational when it comes to family-related expenses. The best example of such irrationality is buying a brand new car and agreeing to a half-a-decade struggle with debt. Five or more years is a pretty long period of constant financial obligation for a vehicle that does not bring profit. Instead of that, think about getting a quality used car, for starters. The sum that you save that way could be redirected to paying the debts. We all need vacation to recuperate from the stress we are exposed to at work and all other daily relations we take part in. However, if you have to borrow money to spend ten days somewhere else, it would be smarter to press the skip button on vacation. A smarter choice would be start saving for next year and enjoy the next vacation with the money you have really earned. Increasing your debt for life-threatening reasons is not practical, but it is necessary. Vacations simply do not belong to that group. Free time is something you can think about only when you have gotten out of debt. The longer you owe money, the worse your life will be. That is why you should work more or start doing something else, in addition to your regular job. You could do the taxi driving night shifts at weekends or do some physical side-jobs, like working as a construction worker. Also, you can work from your home if you have such skills. So, you could try making products of your own and selling them online. In addition, buying and selling penny stocks could also help you pay your debts. If you can, try as hard as possible not to get into anymore bad debt. But life is a set of unexpected events, indeed, and sometimes you have to borrow money. Even if that happens, follow those five steps to get out quickly. Best luck! If you would like to submit a Guest Post on Cash Flow Diaries, shoot me some details via the Contact menu. Great ideas! I’m down with all of them but the travel…I gotta have a get away at least for a weekend! HA! I feel the same way about the travel. I just love doing it so much. I actually just got back from another country today and it was great. Just wish there was a way to do it cheaper! Weekend getaways are great because you can really save a ton of money especially when its close by. Good point! For me, it is all about #2. By paying extra on your mortgage, student loans, or any loan you have, you are locking in a yield equal to an interest rate. Yes, you will have less cash in the short-term, but in the long-term, you will have much less to worry about! Also, time value is huge with this. Something that I am struggling with right now is attempting to grow my money at a greater rate than my debt would be. In a month, I will have a mortgage at 3.75% and I can certainly find investments that grow at at least 4-5%. But, will I want to lower the payments on my mortgage or start building a portfolio? It will be interesting. I agree with you also Erik that knocking out those loans/mortgage is huge and makes you feel really good about paying it off earlier for sure. You cant really go wrong with choosing to pay down before investing but I admit if you want to take on a little more risk and be more aggressive then I would choose your latter option and start building a portfolio. But I would completely understand if you want to pay off that mortgage first. Let me know what you end up doing. What size of car do you recommend for people with one child? Worth paying more for a bigger car with less MPG’s? Hey Jason! Thanks for commenting. I personally dont have kids yet but when I do, yes I will go for a bigger car with good MPG. Ill probably end up with a used mini van of some sort I would imagine. Sounds like you are in a great position Jef. Congrats on that!